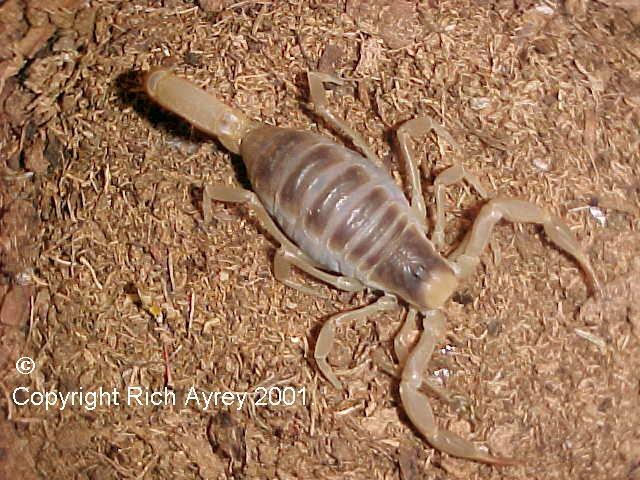 Hadrurus arizonensis is the largest scorpion found in the United States. This photo was taken in Queen Creek, Arizona. They are easy to care for since they feed on almost any small invertebrates. This species is impressive due to it's size. They are reported to have a painful sting. This site copyright Rich Ayrey 2001-2017.